Description: Zodiac Consignment. 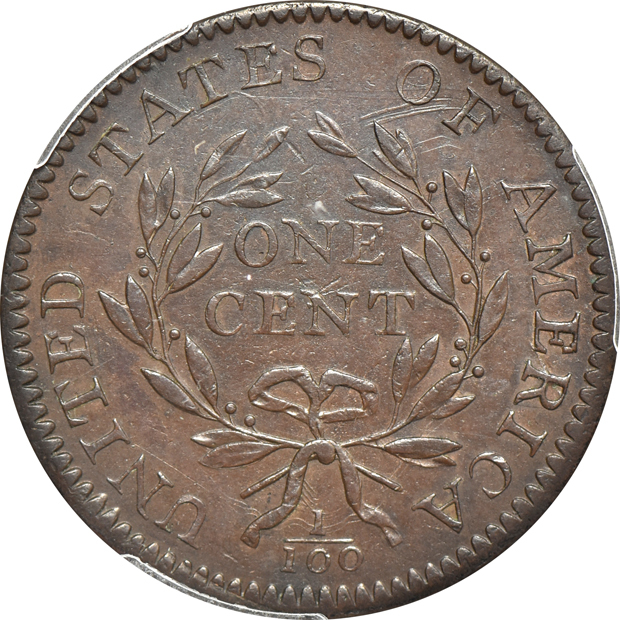 Sheldon-112, R.4+ is a rare die-marriage, or nearly so, for 1796, attributed by noting the "Reverse of 1794" first, then finding the "single leaf" motif below "IT" to help narrow down attribution. Of course, this is a date replete with very difficult Sheldon varieties. 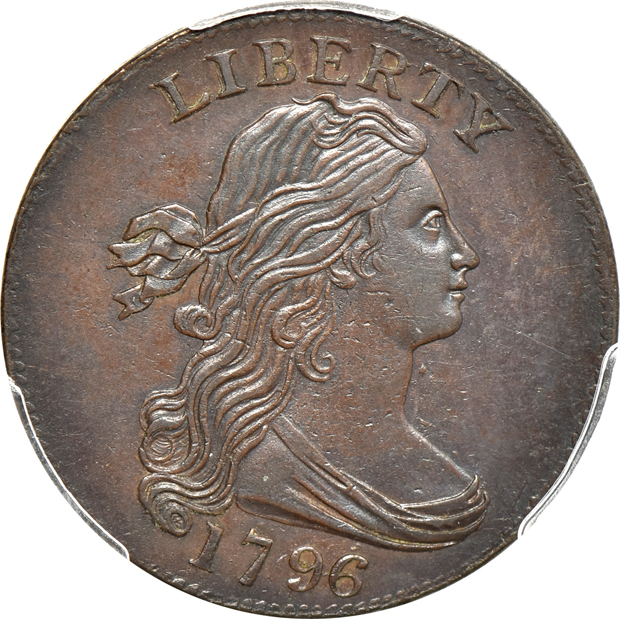 And all enthusiasts recognize the difficulty of obtaining a 1796 of either major type with nice surfaces, which the present specimen possesses in abundance. Overall, the color scheme is unusually evenly distributed, with hints of steely highlights visible throughout. Perhaps a single notable tick will be found on either side, but as expected, the fields display fine hairlines and other artifacts of brief circulation.